Best female UN Ambassador since Jeane Kirkpatrick! 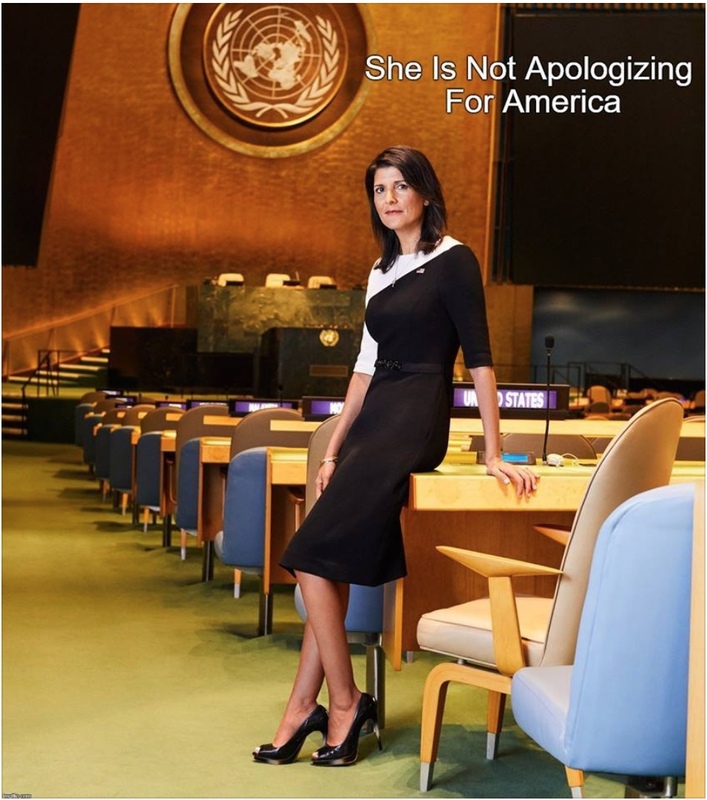 I had been hoping for John Bolton but Nikki Haley has performed magnificently in putting America (and our interests) First instead of playing footsies in the UN swamp. Really like the “taking names” bit and no longer playing the kumbaya “one big world family” farce.